Reading and writing will be some of the first skills that your child will learn as they begin school. They’ll be soon coming across brand new and more complicated terms like rhyme, syllables, alliteration. All of these terms we will cover in this post are important for helping your child to learn to read. In this post, we break down what each of these is and how you can help introduce your child to them. Rhyme—when two or more words have the same sounds at the end of the word, and they usually have a matching syllable, but do not have to have similar spelling. For example, “light, bite”. Syllable blending—the ability to put different syllables together to make a word. Syllable segmentation—the ability to identify the different syllables or beats in a word. Try saying a word then taking away one syllable. e.g. “Butterfly…. Butter.….” and encourage your child to say “fly” to finish the word”. Talk about how this can sometimes create two new words! Practise ‘breaking’ words up. Use some type of visual prop to represent the different sounds, not letters. For example you could use alphabet blocks. Move the blocks back together to practise blending the sounds together to make a word. Liked this post on mastering reading and writing skills? Subscribe to the MED-EL Blog for even more tips that can help you improve your listening skills, communication skills, and more! Mayer, C. & Trezek, B, J. (2015) . 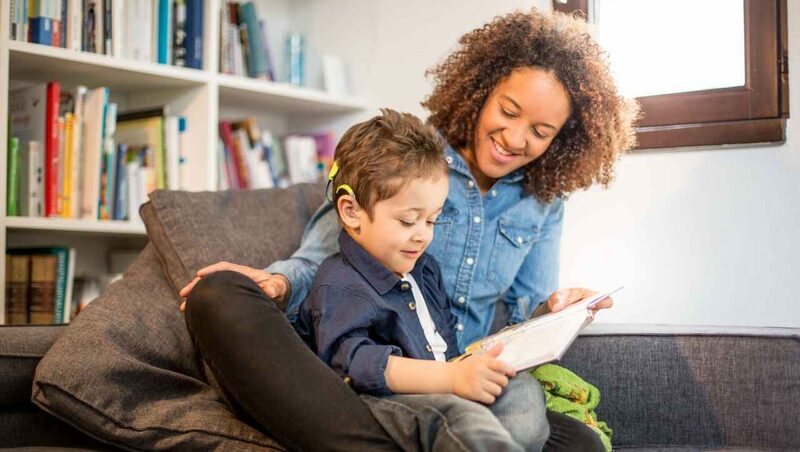 Early Literacy Development in Deaf Children. Oxford University Press. New York. Adams, M. J., (1990). Beginning to read; Thinking and learning about print. Cambridge. MA. MIT Press. Gilliver, M., Cupples, L. Ching, T.Y.C. Leigh, G. & Gunnourie, M. (2016) Developing Sound Skills for Reading: Teaching Phonological Awareness to Preschoolers With Hearing Loss. Journal of Deaf Studies and Deaf Education. 268-279.